Investigators at the Children's Center for Cancer and Blood Diseases at Children's Hospital Los Angeles provide preclinical evidence that the presence of tumor-associated macrophages–a type of immune cell–can negatively affect the response to chemotherapy against neuroblastoma. 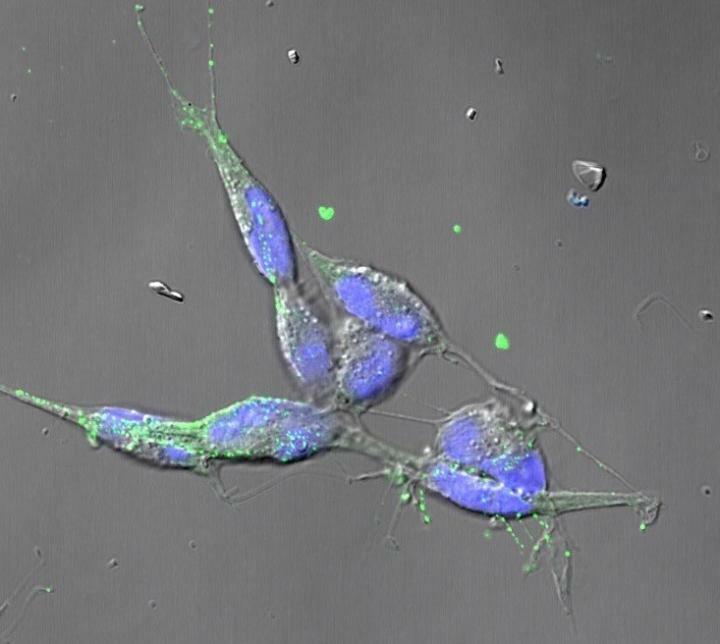 Macrophage survival is supported by colony-stimulating factor-1 (CSF-1). Using a small molecule inhibitor of CSF-1 named BLZ945, in combination with chemotherapy, investigators significantly reduced the number of macrophages within neuroblastoma tumors and improved the efficacy of chemotherapy in T cell deficient mice. These findings suggest the possibility that this combination therapy might be effective in patients with high-risk disease, even those who have limited anti-tumor T cell responses. The study was recently published in the International Journal of Cancer. While T cells are critical to the human body's immune system, and act as a defense against cancers, certain cancers–like neuroblastoma–can evade the T cell response. The research team at CHLA, led by Robert C. Seeger, MD, studied neuroblastoma in T cell depleted mice in order to determine the impact of specific immune cells on the efficacy of chemotherapy. To examine whether the depletion of TAMs from within neuroblastoma tumors could improve response to chemotherapy, the investigators co-cultured neuroblastoma cells with monocytes–a blood cell that gives rise to macrophages. When they administered the chemotherapeutic agent topotecan alone, they found that the neuroblastoma cells actually increased their release of the protein CSF-1, adding fuel to promote the number of TAMs. Promisingly, pairing topotecan with the CSF-1 blockade, BLZ945, successfully inhibited neuroblastoma cell growth by reducing the number of macrophages and improved mouse survival. Additional contributors to the study include Mathew W. Webb, from Texas Children's Hospital, Houston, TX, along with Michael A. Sheard, Wei-Yao Liu, Hong-Wei Wu, Jeremy R. Jackson, Richard Sposto, all of Children's Hospital Los Angeles, Jemily Malvar, of the Keck School of Medicine of USC, and Dylan Daniel, of Novartis Institutes of BioMedical Research, currently of MI Bioresearch, Ann Arbor, MI. Seeger and Sposto are also faculty members of the Keck School of Medicine of USC. This work was supported in part by grants P01 CA81403 and R01 CA182633 from the National Cancer Institute, and from the T.J. Martell Foundation.